One of the main challenges in the online advertising industry is to increase and measure the reach of the advertising campaign while protecting your brand. 'Transparency of Outcomes' is what we strive to provide to our advertisers especially in terms of providing support on measuring the reach and the effectiveness of the campaigns. 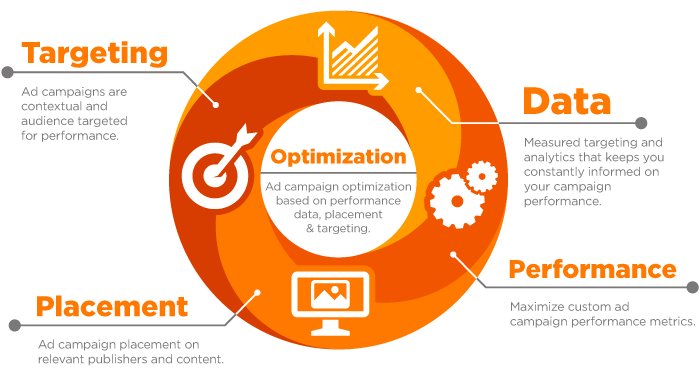 you can promote wide range of Campaigns like CPM, CPC, CPA and CPL with us. Whether the advertising goal is to generate Brand Awareness, Brand Recognition or to generate leads/sales we help advertisers capitalize on every level of the consumer decision. At IntellectAds, we leverage industry-specific knowledge to create fully tailored advertising solutions by incorporating market insights. Based on our knowledge of ad serving and analytics platforms we have developed strong relationships with our publishers that assure them that the campaigns are run most effectively.